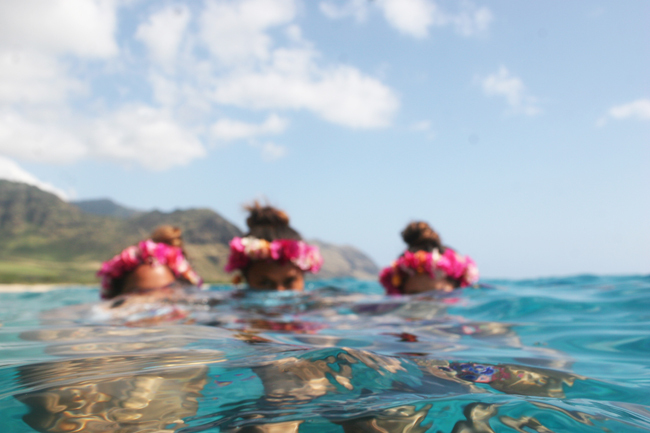 May Day is always one of those days I want to be a part of in Hawai'i. I mean, really be a part of. One of those days I want to look back at and really remember. And I am always bummed out when I don't do something to celebrate this special day. It marks Spring in Hawai'i in a very intentional way. When we were growing up May Day was always a pretty big day. 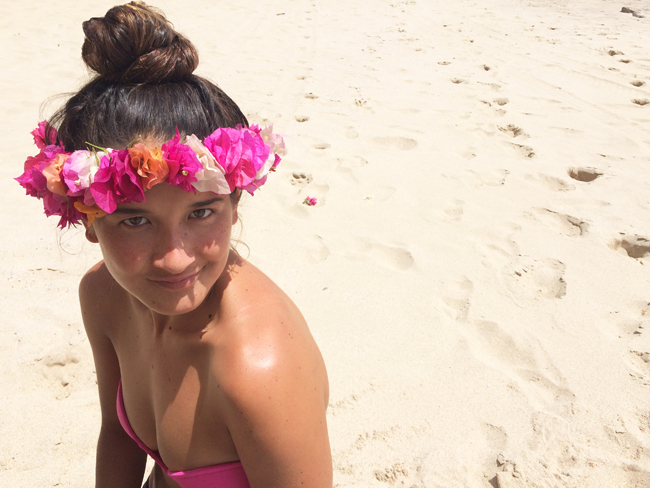 The whole school prepared months for a special festival filled with flowers, lei's, dancing, and performances. It really made growing up in Hawai'i unique. My older sister was Queen of our elementary one year. I felt so proud of that. It's those kinds of memories I will always hold on to. It makes me so grateful to be from an island with such vibrant spirit and culture. This year we celebrated May Day in a very intentional way. It was such a spontaneous adventure; a text message at 11pm at night and it was done. We woke up early the next morning and headed to the west side. Before hitting the beach we stopped along the way and collected flowers, including some of the most beautiful ombré Bougainvillea I have ever seen. After attempting to swim with dolphins [which I later found is disruptive to their resting time and potentially harms their well being.. so I am so glad we didn't] we settled on the beach for some lei-making and snack time. We eventually ended up back in the water and left the west side feeling burnt out, sun burned, and satisfied. It was a May Day well spent. 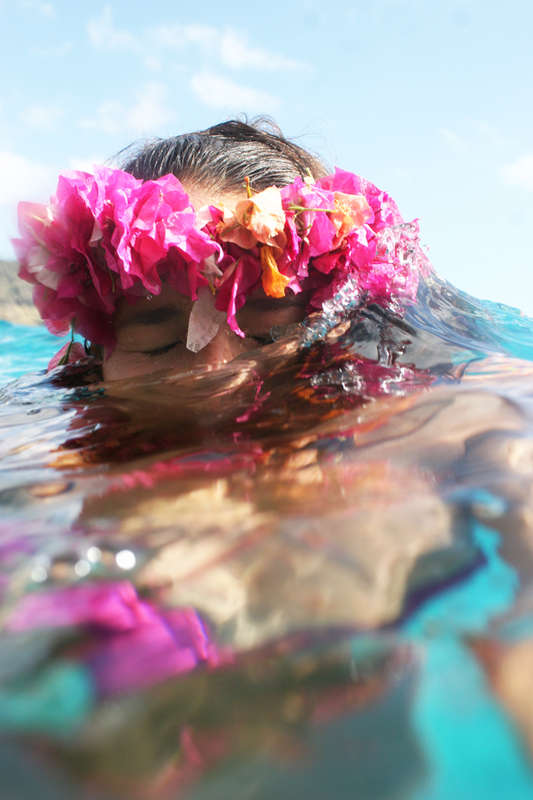 Beach, lei making, and being suspending underwater for most of the day? That is my kind of May Day.